I have been working on support for multiple enemies on screen, it seems it can handle a few without much difficulty or slowdown even on my old laptop, the 3d models need to be optimized to be lighter though. There’s a weird bug where the enemy will go into a injury reaction loop if he’s been hit at the same time he initiates a grab. I need to figure out why this happens. Would anyone be interested in watching me work on livestream? I feel it might be like watching paint dry, but I guess it would help keep me focused. 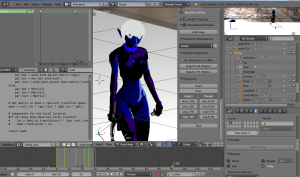 Other 3d artists like Jessica Anner do it so maybe I should too. I have an announcement to make, as of february 2015 I am once again a full time freelancer. This means I have time to dedicate to my various projects, but only if I receive support. If you wish to help me continue making this game please click here, and signup as a patron on the level you can afford. 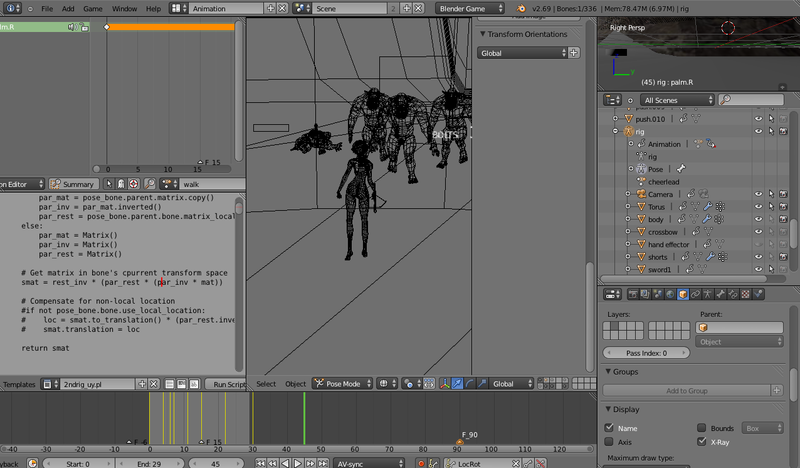 -Toon render outlines around models. -New falling animation when character goes over the cliff. 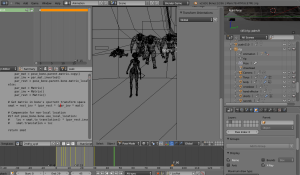 -Pushing animation when character walks into a pushable object. 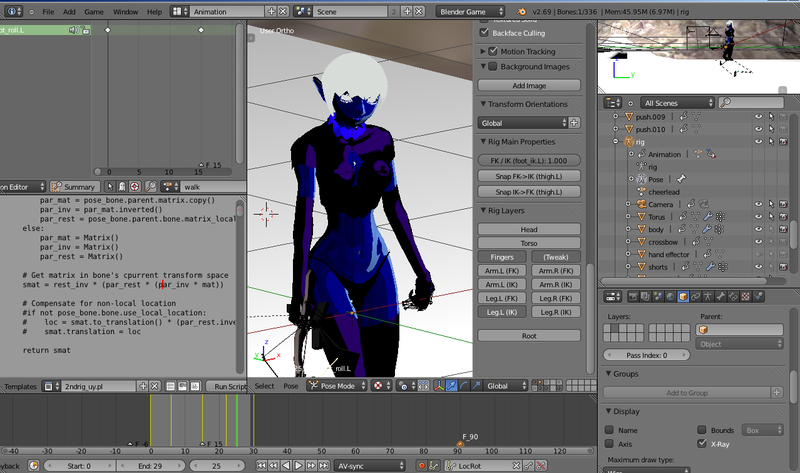 Fixed dynamic shadows, as a compromise the shadow casting light follows the main character. Added life bar, it has logic for damage and healing but no events affect it just yet.